Hi, I´m from Brazil. 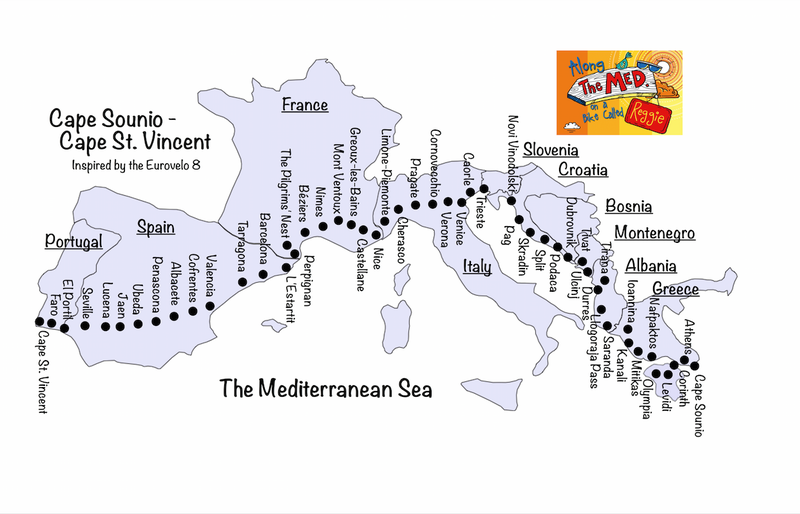 And next year I plannig a cycle trip with friends using Eurovelo 8 to go from Barcelona to Rome. I would like to know things like is eurovelo 8 read to use? with is the wind blow? there is mountains on the way??? Good trip to you all!!! Fala rapaz! Ano que vem pretendo fazer o mesmo, esticando um pouco a viagem. Entre em contato comigo para trocarmos ideias. Hi again from the road. I survived Albania.. Roads are rough… They will rattle your bones. If you ate going through Shkodra in Albania stay with Florian in his guest house – hard to find, but he welcomes you with a beer which is nice. I took a couple of detours in Montenegro – well worth it. But watch out for the climbs… As a cyclist you can’t use the roads with major tunnels so I went up and over the mountains twice (routes coming up on my blog). Hopefully you won’t need to fix your bike in Dubrovnik… I need to fix a spoke… But no cycle shops here! Me and a couple of mates are doing route 8 in August! Unfortunately I can’t help you out with anywhere to stay, but if you see three slightly overweight blokes who are lost with no idea what they’re doing then you’re very welcome to have some of our baguette! 🙂 Best of luck with your journey. Thanks for the comment. I may take you up on the offer of sharing a baguette if our paths cross. Which direction are you travelling in? Are you doing the full length of the route? And when do you start and finish? PS: Will you be online (blogging etc…) as you cycle? That way it would be easy to see if our paths did indeed have a chance of crossing. Hi I have just started my own route athenstolisbon… Day 3! I’m going to be uploading day by day maps with comments you might find useful. Thanks. Very useful to know. do you have a map reference for the route you took from Lisbon? I’m trying to plan that route for my own journey, but am struggling a little – your help would be appreciated … as per an email I just pinged you next year I am cycling from Lisbon-Athens. So maybe we will meet along the way as you are planning the route from the other direction?